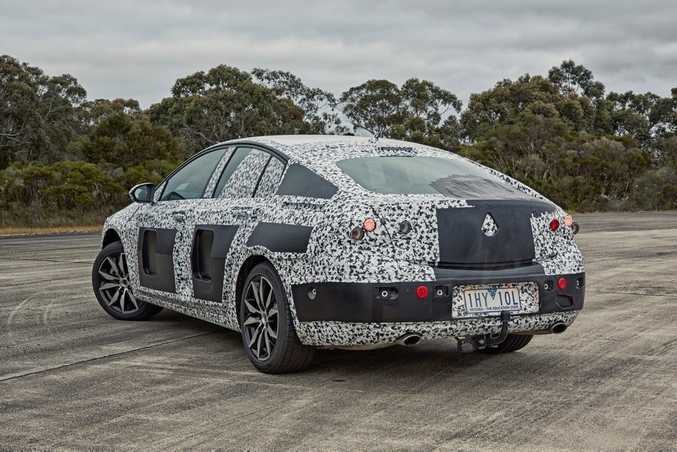 THE next generation Holden Commodore has been revealed in full camouflage ahead if its launch in early 2018. 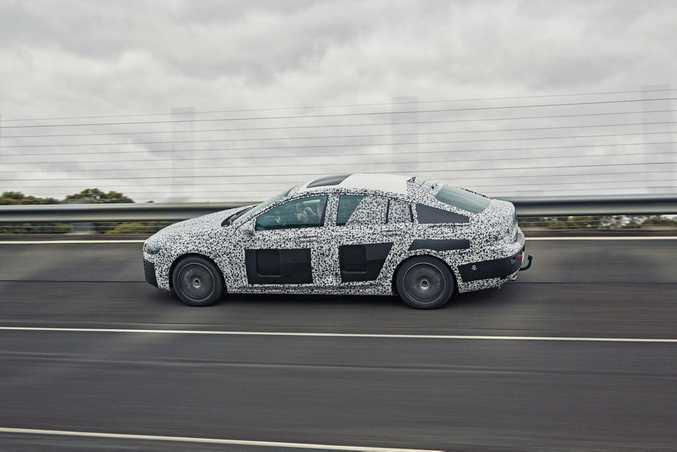 Heavily masked the new car may be in the photos, but Holden has confirmed its first imported Commodore model, known as the NG Commodore, will share its architecture with the Opel Insignia, engineered in Germany and co-developed with Holden's Australian engineers. 2018 Holden Commodore in camouflage pictured at Holden's Lang Lang Proving Ground, Victoria. On the engine front the new Commodore will have a 230kW/370Nm V6 as its range-topper (which should hit 100kmh in around six seconds), backed up by a brace of 2.0-litre turbocharged four-cylinders: a petrol and a diesel. The current Commodore SS flagship models feature 304kW/570Nm 6.2-litre V8s engines. Holden has revealed the new V6 cars will feature a nine-speed auto transmission, an adaptive all-wheel drive system with torque vectoring and twin-clutch rear differential system, plus adaptive suspension technology. Less is known about the four-cylinder models, including their power outputs, but we do know they will be front wheel drive. As has long been known, it's the end of the road for Commodores with rear wheel drive and V8s as Holden moves from being a local manufacturer to a fully fledged vehicle importer, cherry picking models from General Motors' global line-up. We've also learned the new Commodore will be available in Sportback sedan hatchback and Sportwagon body styles, with the sedans being 74mm shorter, 36mm slimmer and 3mm taller than the current model, with slightly less interior passenger space. The new cars' weight reduction will be between a massive 200-300kg over current Commodores, suggesting we can expect a decent jump in fuel economy in the 2018 models. Holden promises next-gen matrix lighting systems, an 8-inch LCD instrument display and 8-inch central display, Apple CarPlay and Android Auto, plus a full suite of safety systems. 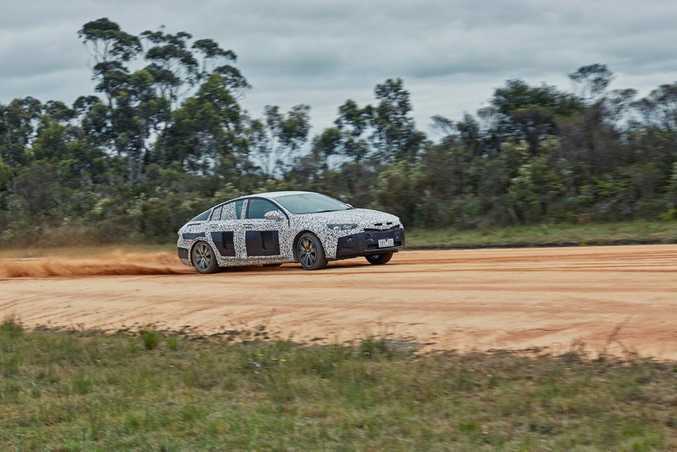 Positively for our market, the new Commodore has had and will receive further local suspension, steering and chassis control system development by Holden's engineering team at the company's Lang Lang testing ground in Victoria. The locally-based team have proved their talent and worth in recent Holden imported products (its new Spark and Colorado for instance) and Holden has had "engagement" from the start of the future Insignia/Commodore model - over five years - including chassis development at the Nurburgring. 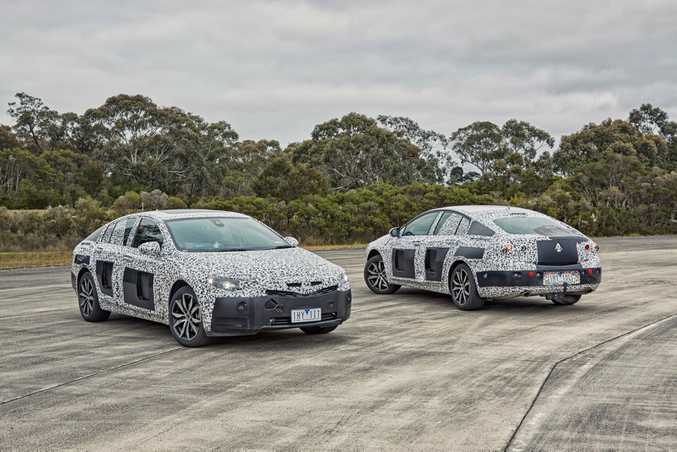 The Opel Insignia version, where we'll be able to see what our new Commodore will really look like under the camouflage, is expected to launch in Europe by the middle of 2017. And traditionalists rejoice, Holden is embracing Commodore's legacy by confirming the NG Commodore will race in Supercars from 2018, and will be on the road as police cars. Holden knows all eyes will be on the first imported car to wear the iconic Commodore badge, but is confident it has the right car to deliver. "Holden has been engaged in this program from the outset to ensure the next-generation Commodore lives up to its legendary nameplate," said Jeremy Tassone, Holden's Engineering Group Manager for Vehicle Development. "We know the first imported Commodore will come under a lot of scrutiny and we know we have a lot to live up to - this car delivers in spades. "Although we remain in the early stages of the Holden development process, this is an absolutely world-class car. We've taken a precision-engineered German car and endowed it with Holden DNA. It drives like a Commodore should. "We've had our Holden engineers engaged in this global program from the outset and we're continuing to do extensive tuning and development, racking up thousands of kilometers, at our Lang Lang proving ground in Victoria to ensure it's got that Holden magic."